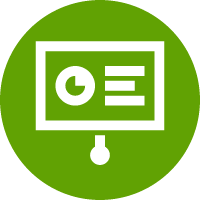 The following Case Studies illustrate how DocRead can be utilised to ensure that staff read and acknowledge your most important documents, such as Policies and Procedures to ensure that they stay compliant with the required regulations. 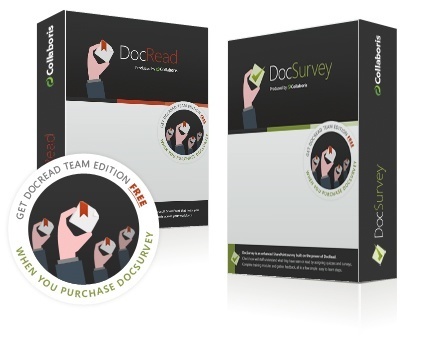 In a few clicks, you can also configure DocSurvey to work with DocRead so that staff can also be tested before being able to confirm. To see other customers using DocRead please take a look at our 'Customers Page'. Monitoring and managing regulatory compliance has always been a key concern for leading pharmaceutical companies. Improving their business processes was one reason why Peregrine Pharmaceuticals looked for a simple and cost-effective way to target key policies to their employees and to ensure that they were read and acknowledged in a timely fashion. 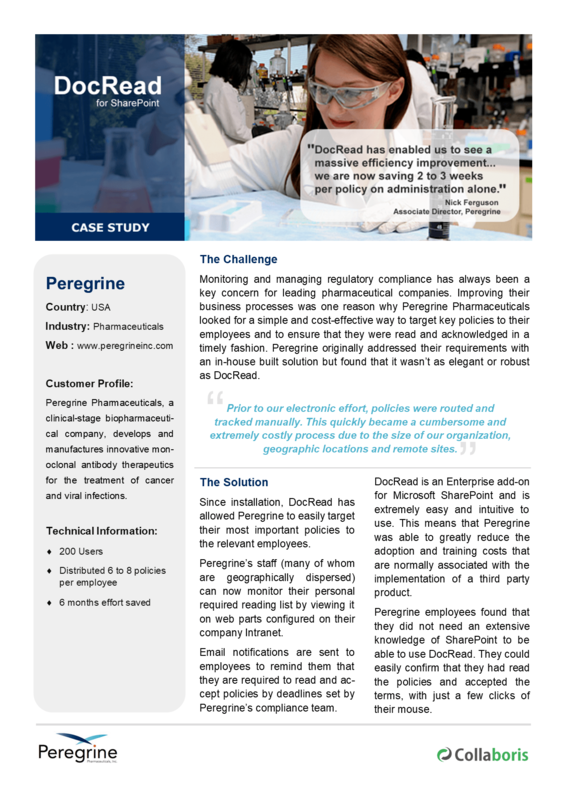 Peregrine originally addressed their requirements with an in-house built solution but found that it wasn’t as elegant or robust as DocRead for SharePoint. 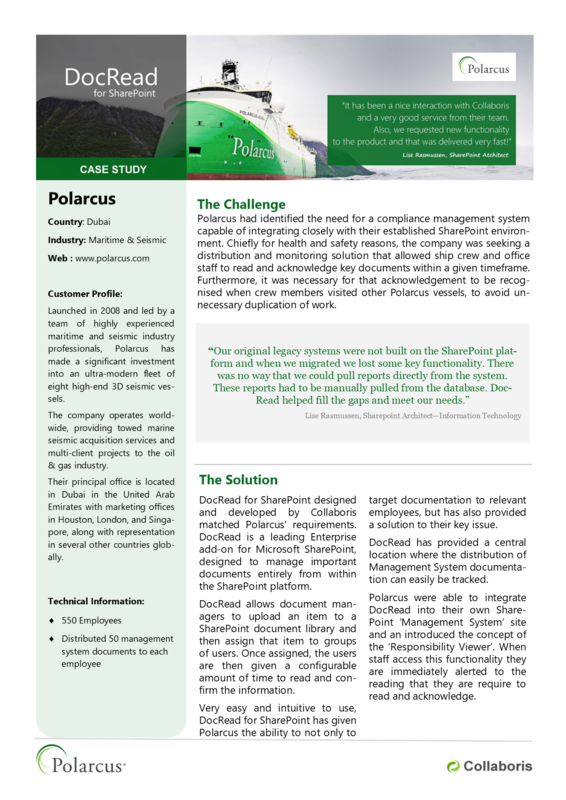 Polarcus had identified the need for a compliance management system capable of integrating closely with their established SharePoint environment. 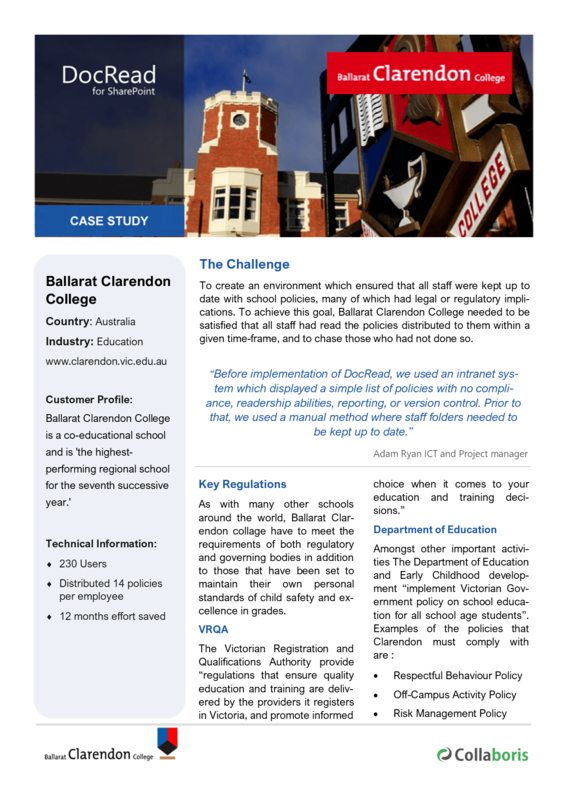 Chiefly for health and safety reasons, the company was seeking a distribution and monitoring solution that allowed ship crew and office staff to read and acknowledge key documents within a given timeframe. Furthermore, it was necessary for that acknowledgement to be recognised when crew members visited other Polarcus vessels, to avoid unnecessary duplication of work. Fill in the short form below and we'll email you the case studies over right away!